Customers can schedule an appointment. The Service can send out a booking confirmation to the Customer. A reminder of the appointment can also be sent. An appointment can be rescheduled . 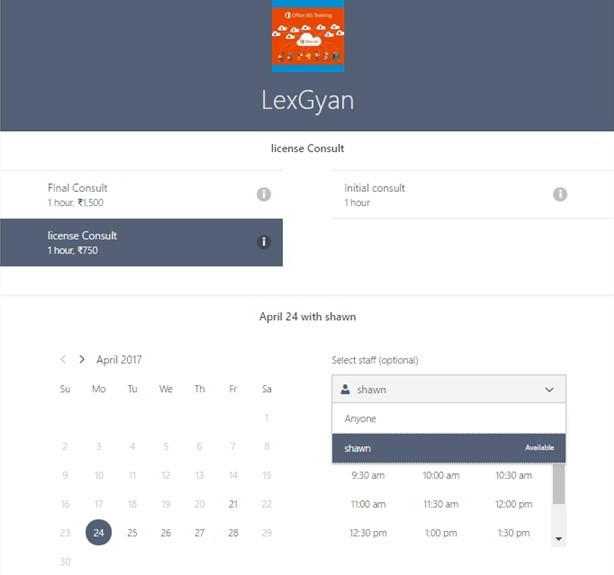 An appointment made can update the Calendar of the specific person who is booked. The Calendar of the Customer can be updated. 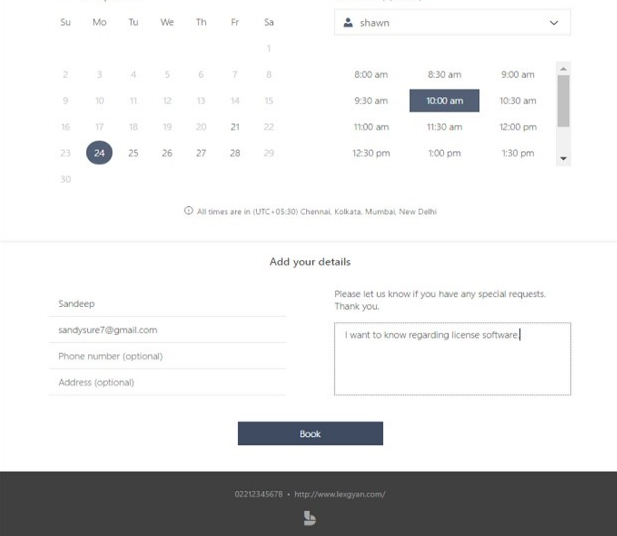 The bookings page will be publicly available and could be displayed on the customer website via a link. This could also be available via the Facebook page of the business. Lets look at some of the screen shots to get a better idea of the Solution. Immediately the Customer will get a confirmation message via email. This is systems generated. The Customer also gets an option of rescheduling his appointment . 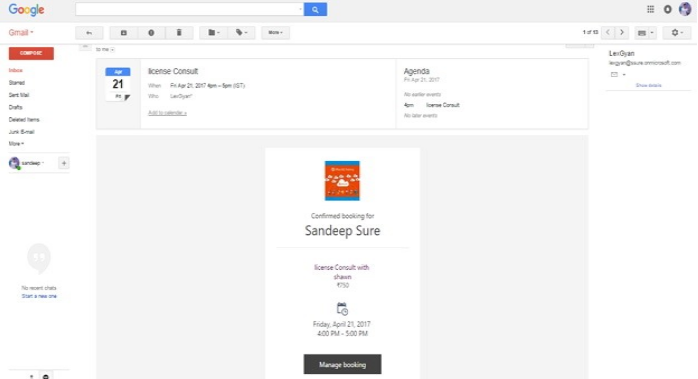 When the Customer does his Booking, there is a Central Calendar which gets updated. This gives one view to the Consultant of various appointments fixed with different resources. Going one step further , This Central Calendar also in turn updates the individual Calendar of the Staff making the whole experience quite seamless. Given below is the view of the Central Calendar. 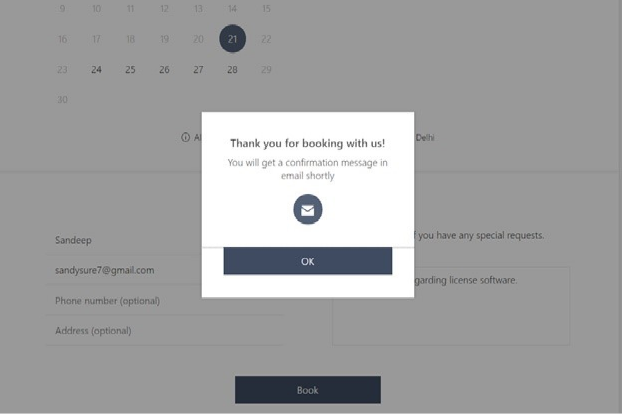 So as we, Booking makes it absolutely convenient for Customers to schedule appointments with you. And you can manage the appointments with minimum fuss and maximum efficacy.